be playing it in full on a UK headline run. them as they take their incendiary live show on the road in May. true music icon in action. 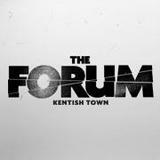 ... symbolic album, Site 15 , with a headline show at O2 Forum Kentish Town.